Looking forward to knowing what made YOU smile this week! Revising: I am going through another round of revising. Every morning and every evening in the train, I take out my beloved netbook and correct a lot of my previous silliness. I´ll post more about this on Monday but I think I´ve reached a “Tada” moment in this process and that brings a BIG smile to my face. 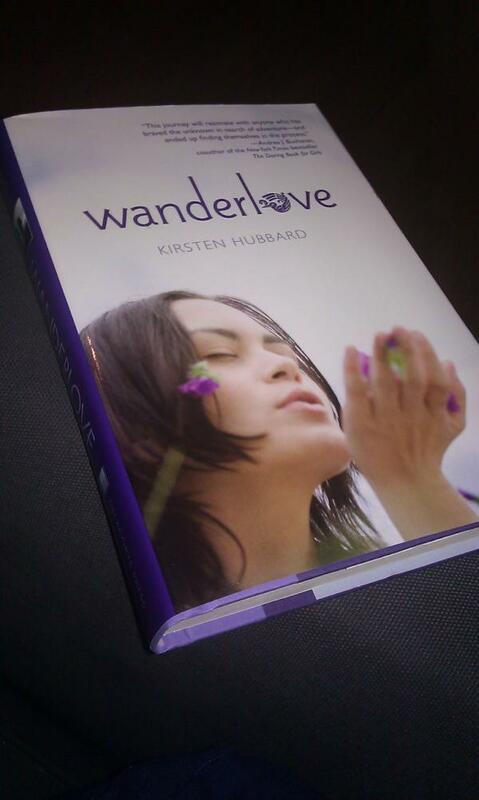 Reading: For Tracey´s YA Book club, I´ve read WANDERLOVE last weekend and I cannot talk about it yet but it did make it to my happy friday so it should give you a hint 😀 I´m also reading Stephen King´s ON WRITING and I´m falling in love with this book. I´ll explain the reasons soon and thank you Sara for giving me the slight push to actually dive into this book. If you´ve read those books, don´t hesitate to click on those wonderful bloggies´ links to join the fun! Next postGoddess Interrupted – A review and my take on mythology…. Hilarious. “NO, it’s not like Twilight!” Heehee. And “I don’t know how my book ends.” “Why is that on the list?” and “I want a list! !” SO, SO funny. this was hysterical! thanks for posting. I got my chuckles for the morning. “I don’t know how my book ends.” LOL!!! I loved the girl who says “It’s not like Twilight” and you see this little kid dressed as a ghost traipsing behind her. Hee hee. This is great. I’m sending this to everyone. Oh I really liked Wanderlove. Can’t wait to see your thoughts on it!